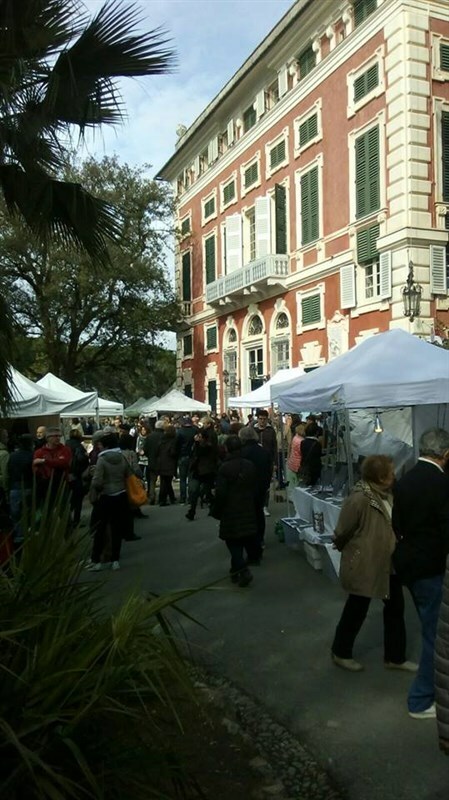 From 20 to 22 April 2019 in the park of Villa Durazzo in Santa Margherita Ligure will take place the trade show "L'Erba Persa", popular name with which marjoram is known in Liguria Region. The event, promoted and sponsored by the Municipality of Santa Margherita Ligure and organized by Progetto Santa Margherita s.r.l. is focused on quality and rarity, bringing together many exhibitors selected from different Italian regions. Much care is dedicated to the presentation of a wide selection of roses, fruit plants, oldest varieties, orchids, bonsai, hydrangeas, cultivated cacti, camellias, azaleas, perennials, succulents, tillandsie, ornamental plants, aromatic and medicinal plants in pots. Very refined the stands devoted to patio furniture, design and construction of roof gardens, Jacuzzi for the garden, country clothing, cosmetics, French lavender, accessories for gardening, vegetable soaps, paintings with floral theme and magazines specialized in the horticultural industry. Other side events, such as conferences, meetings and workshops for adults and children will take place during the three days of opening. L'Erba Persa is open every day from 10am to 7 pm, with free admission. Revenue: Piazzale San Giacomo, Via San Francesco, Via Principe Centurione.